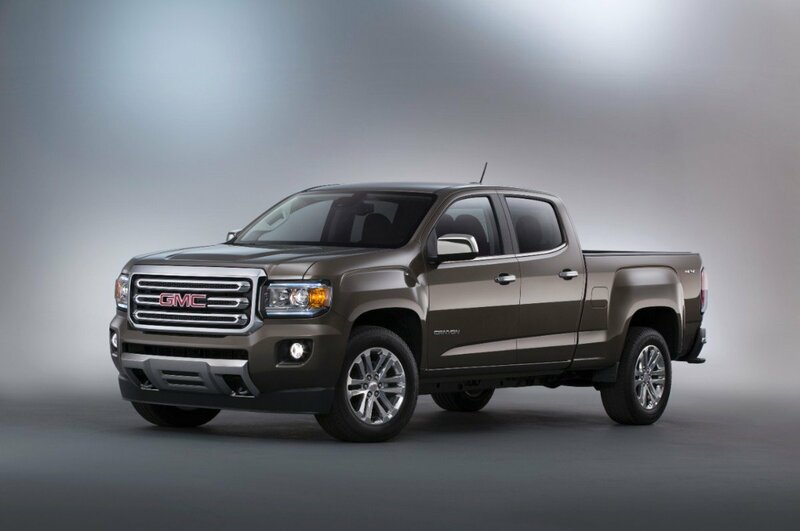 We haven’t driven GMC’s new mid-size Canyon yet. Its introduction isn’t scheduled until fall, but I suspect there will be a range of new features designed to set this truck apart from the pack. There will, after all, be it’s stablemate, the Chevy Colorado, as well as Toyota’s Tacoma and Nissan’s Frontier in the pack. Who knows? There may be even more entries in this hot category. 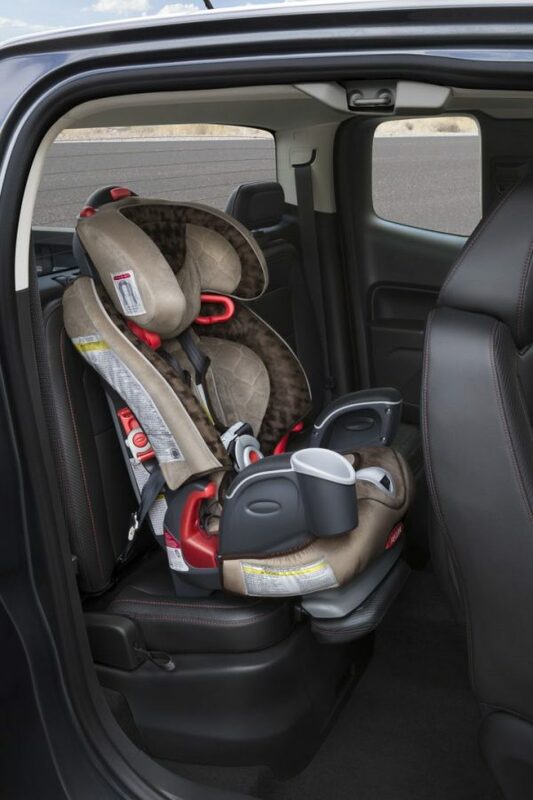 This week, the folks at GMC announced a patent-pending feature designed to make the extended-cab version of this all-new truck even more appealing to those who need to accommodate a child safety seat. Using the rear jump seat headrest on the passenger side of the extended-cab Canyon, the jump seat cushion can be expanded by removing the head rest and inserting it horizontally into the seat base. This makes it possible to satisfy the seat base recommendation of most kid-seat manufacturers. Eduardo Bugelli, safety performance team lead says that the added seat cushion length provides more support to help reduce the rotation and risk of injury in a crash. It should accommodate those car seats recommended by NHTSA: rear facing for birth to 3 (if possible); Front facing with a harness for 4 to 7 years; and a booster for 8 to 12 years. The size of the child also is part of the criteria. For more detailed info go to: facebook.com/childpassengersafety. The addition of other safety features represent the first time that several well-accepted innovations are available on a mid-size truck. Forward collision alert technology alerts the driver when the truck is closing in on the vehicle ahead to provide added time for reaction and crash avoidance. Lane departure warning alerts the driver when the truck, traveling faster than 35mph, drifts over a lane line . For structural stability, the new Canyon is constructed from more than 70% high-strength steel. It comes with six standard airbags, including head curtain side airbags to reduce the possibility for occupant ejection. A standard rear vision camera and optional next-gen Intellilink offer a range of safetyand infotainment features. For example, iPhone 4S and 5 users cvan access Siri via the steering wheel controls with the new eyes-free feature. Android users can also use the eyes feature using their voice recognition features. I expect that GM will trickle out the news on the new Canyon and the Chevy Colorado for the next few months, with a full intro at the State Fair of Texas, but don’t quote me on that. Still looking for stats on fuel efficiency, tow capability and — of course — price.